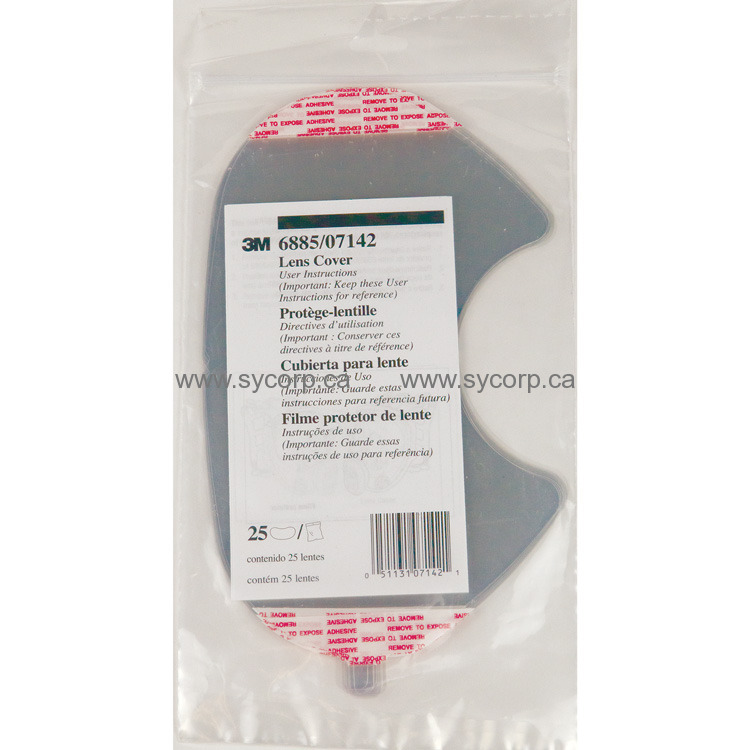 The 3M 6885 clear lens cover for the 3M 6000 series full face respirators. The clear mylar lens attaches to the lens with tabs on either end to accommodate peeling off one layer at a time. A relatively inexpensive way to protect the expensive lens from scratches or overspray when painting. Sold in pack of 25 disposable lens covers.